Summer is here again. Finally, you can get married without worrying about the rain ruining the day for you. You can have fun under the sun and at the same time, exchange vows under the heat of the sun. However, while this idea seems good, the heat may be too much for you to handle. Known as the Summer Capital of the Philippines, Baguio City remains to be among the most visited cities in the country during summer. Apart from having these tourists, it also never runs out of couples. It has always been one of the favorite cities to get married in. Sure, the coldness and the natural beauty of the city has enough magic. Unlike Baguio City, you do not need to travel for several hours to get to this city. 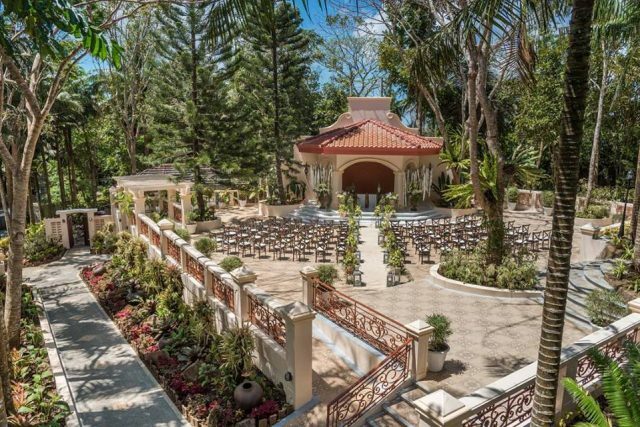 In fact, among the destinations for out of town weddings, this one is one of the nearest ones. It brags many gardens of lush greens and amazing floral plants. The coldness is also something to look forward to here. If you are ready for some fun and adventure, go for Boracay Island. Let the beach become the backdrop of your special day. There are also a lot of thing happening here all the time, so you are sure to have fun. He wedding, you can all go out and have a great party. After I am sure, your guests will love them too. Choose well. Save yourself from the extreme heat of the fun this season. Check out our directory of wedding suppliers to look for suppliers in these areas.